Or manicotti - I've wanted to make this dish since watching The Sopranos! It is ridiculously simple, requires no skill or measurements and appears to be capable of making a priest break his vow of celibacy. Basic Italian tomato sauce. I make my own from a surplus of tomatoes and can it, but bought will do and you can make it fresh roughly like this - use 1 large can of diced tomatoes (Italian seasoning in the can makes it simpler, but a shake of Italian seasoning - basil and oregano - makes the plain sort work just fine), 1 large onion chopped fine, a clove of garlic or a shake of garlic powder. Fry the onion and garlic and add the tomatoes +/- seasoning if needed. This will do as it is, but you can refine it by tasting and adding salt, pepper as desired. Be careful of salt if you end up using feta cheese which is salty. Optional ingredients would be mushrooms and black truffle oil. You need cannelloni or manicotti. 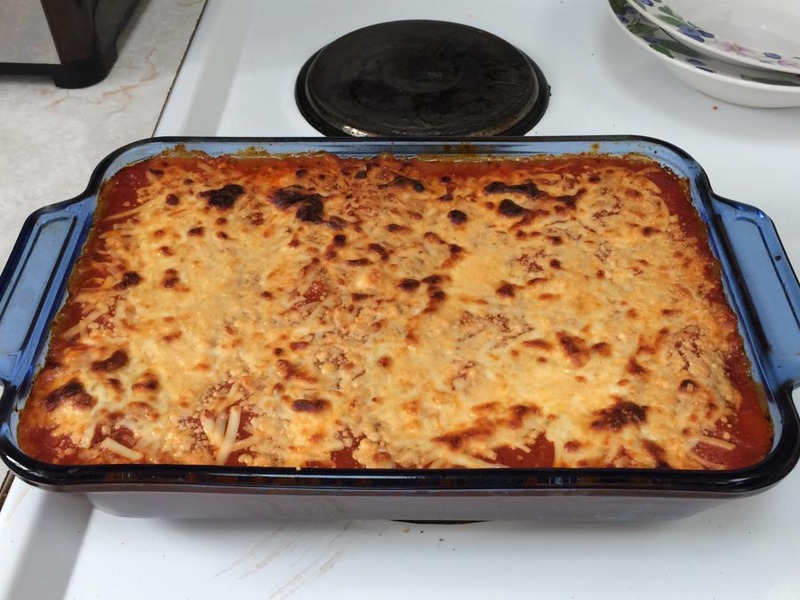 In these parts manicotti are much bigger in diameter, so you get way more filling:pasta ratio. I prefer the cannelloni. Do not pre-cook them. A bag of fresh spinach (hopefully without included hepatitis A from the crop being watered with grey or brown water). This should be placed in a colander and the stalks pulled off as you do so. Pour over a kettle of boiling water to wilt it. Squeeze the water out once cool. Put the spinach in a food processor with ~300g of ricotta, ~300g crumbled soft goat cheese or feta and three TBSP parmesan. Add some black pepper, salt if you didn't use feta, and a pinch of nutmeg (trust me!) Pulse until well blended. Fill the cannelloni with the cheese/spinach mixture using either an icing bag, or a ziplock bag with one of the bottom corners cut off. Try to fill each tube completely without voids. Spare filling will freeze for another go when your clients demand it. Arrange them in the bottom of a greased oven dish. I have gone as far as using a hacksaw to chop the empty shells in half to allow me to fill the dish properly. 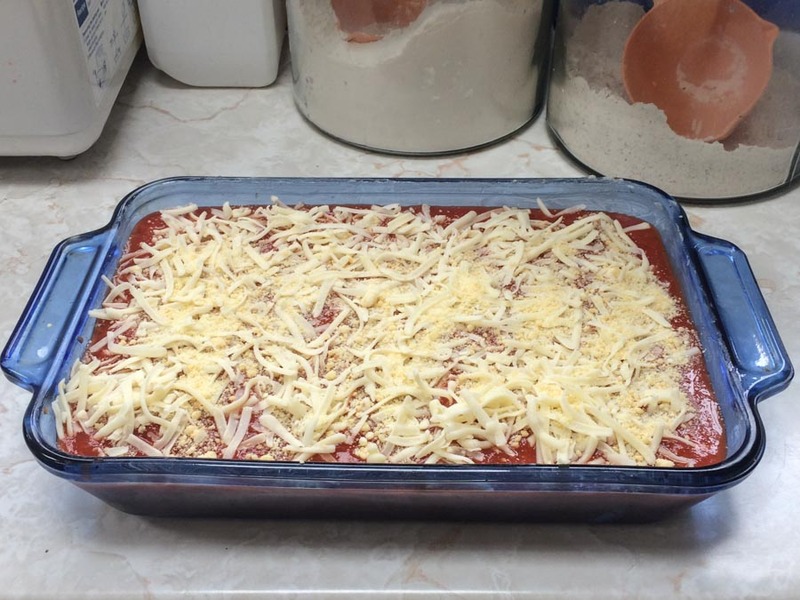 Pour the tomato sauce over the top, and then sprinkle generously with mozarella and more parmesan. Bake for 45 minutes in a pre-heated 350ºF oven, placing aluminium foil over the top at the 30 minute mark if the cheese topping is already brown. Same here with the Sopranos. Made my mouth water every time. Thanks for the recipe. Definitely worth a try. Just in time for the Season of Lent in our house! I'll have to make these one Friday for the family.